MUMM-RA summons MONKIAN to his pyramid to strike a bargain: If MONKIAN steals the Sword of Omens, MUMM-RA will make him ruler over part of Third Earth. Willing to pay any price for the power, MONKIAN accepts. 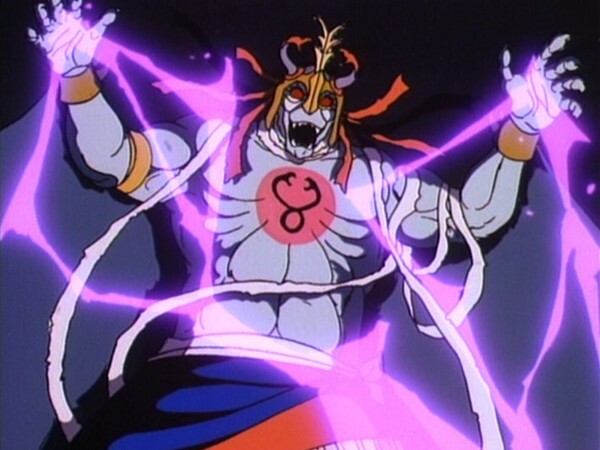 MUMM-RA gives MONKIAN magic spheres, which give him super powers, enabling him to lay siege to the Cats’ Lair. After winning a battle with LION-0 by magically turning into a giant, MONKIAN captures LION-0, SNARF, and the Sword and returns to MUMM-RA. At the pyramid, LION-0 now battles MUMM-RA for absolute rule of Third Earth. MONKIAN defeats MUMM-RA, then is reminded that his power has a price: MONKIAN may never leave the pyramid. MONKIAN gives up his power and flees. LION-0 now battles MUMM-RA for possession of the Sword and defeats him with the help of the other THUNDERCATS. Monkian, driven by a lust for power, bargains with Mumm-Ra to control the northern sector of Third Earth. To receive the magical spheres of power he promises any price, not caring what it will be. Later, Lion-O uses Monkian’s drive for power against him, by challenging him to defeat Mumm-Ra and rule all of Third Earth. 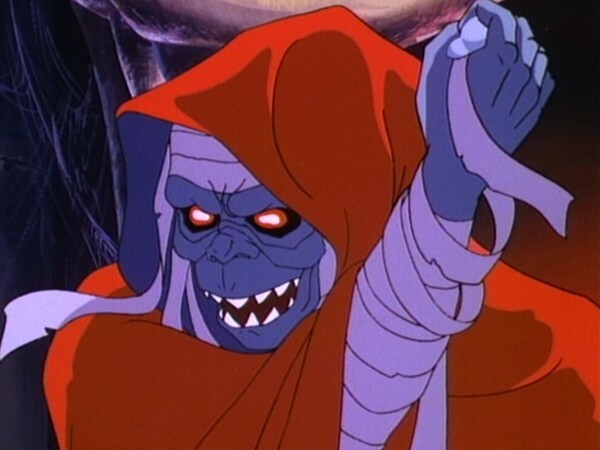 When Mumm-Ra extracts the price of his bargain it turns out to be Monkian’s freedom. Confronted with this, Monkian gives in, acknowledging he is not willing to pay such a high price for power. Monkian blindly entered into a bargain, being so enraptured by the possible payoff that he neglected to find out and consider what it would cost him to obtain his goal. Whenever we select a goal and set out to attain it, we do best to acknowledge we will have to make sacrifices and exert an effort to reach the goal. We should consider whether we are willing to pay the price, before we commit ourselves to the goal. If we join a club, we will have to participate and share in the duties. If we play a sport, we will have to attend practices, play by the rules, and express teamwork. If we want to play a musical instrument, we will have to take lessons and practice. And if we want to receive good grades, we will have to study. A person who usually succeeds in what he sets out to do is not one who commits him beyond an effort he is willing to make. Otherwise his attempts end in failure by giving up when faced with hard work. When you take on a project or goal, learn to consider what is demanded before you commit yourself. And commit yourself fully only when you are ready to make the total effort. During the course of the ThunderCats run, each of the Mutants had at least one episode dedicated to them. Just as Vultureman gets his 22 minutes of fame in “The Superpower Potion”, “Monkian’s Bargain” allows the simian Mutant to take center stage. While the episode’s basic premise of “making a deal with the devil” may seem rather simple, the resulting cartoon is anything but. Lee Schneider’s clever and tight script takes the Faustian legend and converts it into a gripping adventure. “Monkian’s Bargain” is a paradigm of how to use basic elements to their full potential to achieve impressive results. Utilizing only nine characters and two locations, Schneider manages to craft a solid episode without adding any unnecessary embellishments. It is never explained why Mumm-Ra chose Monkian out of all the Mutants but a little bit of analysis into their nature shows why he was the best candidate for the job. A cunning leader like S-S-Slithe would most likely have scrutinized Mumm-Ra’s offer, and the cautious and cowardly Vultureman and Jackalman would probably have had their reservations too. On the other hand, not only is Monkian the boldest of the lot, he is also arguably the strongest when it comes to hand-to-hand combat. And with the constant humiliation that the primate has suffered at the hands of S-S-Slithe, it becomes apparent that he would accept Mumm-Ra’s offer in a heartbeat. 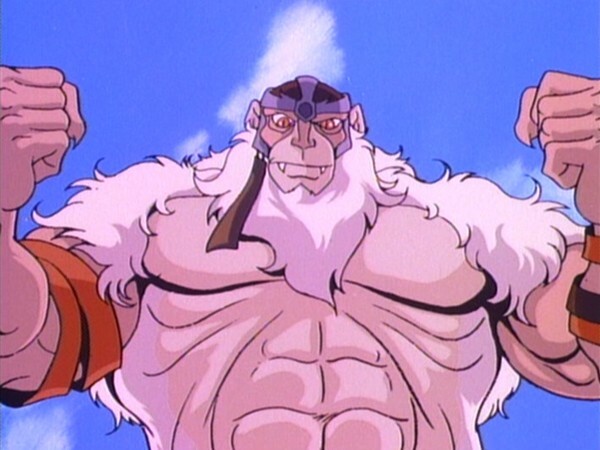 In the majority of ThunderCats episodes, Monkian has been portrayed as a bumbling idiot. From the pint sized ThunderKittens to the other Mutants themselves, all have often made a monkey out of the simian. 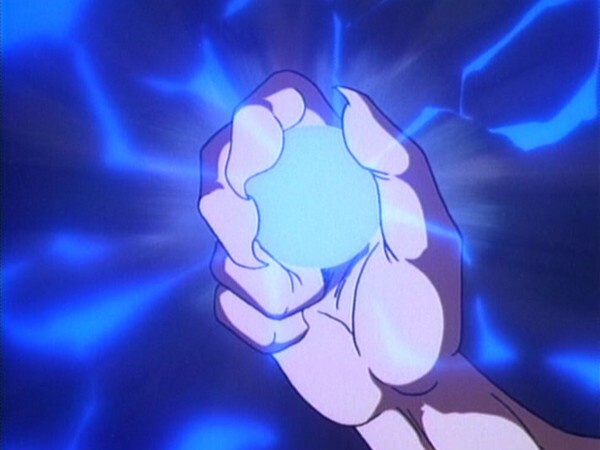 However, in this episode, Monkian is depicted as a truly fearsome and powerful foe, thanks to the unlimited strength of the Spheres of Power. The gripping scene of a giant Monkian smashing his fist into Cats Lair is reminiscent of a similar sequence in “Return to Thundera” where the Plun-Darrian Warbot drills its way into the ThunderCats fortress. This along with the relative ease with which Monkian defeats the ThunderCats and the mighty Mumm-Ra, paint a scary picture of the simian, something which the audience have never witnessed before. 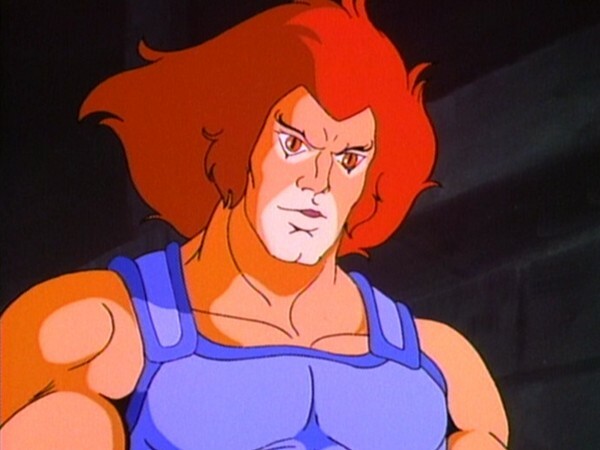 The clever way in which Lion-O talks Monkian into challenging Mumm-Ra is an interesting exhibition of the young lord using his brains instead of his brawn. Knowing very well that he couldn’t take on the enhanced Monkian without the Sword of Omens, Lion-O instead targets Monkian’s insatiable lust for power and pits the two villains against each other instead. 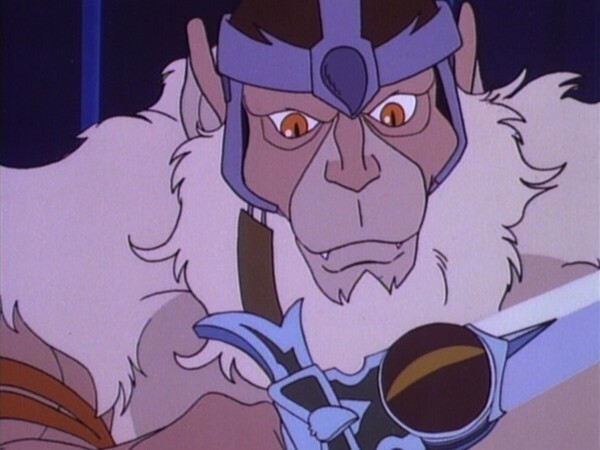 “Monkian’s Bargain” is certainly one of the better episodes of ThunderCats and we’re treated to some superb animation too. From the strong perspective and action lines used in battle scenes, to the subtle hints of shadow on the characters, the talented animators at Pacific Animation (PAC) have held nothing back. Perhaps the only grievance one could have with this episode is the anticlimactic way in which Mumm-Ra is defeated by being shown his own reflection, a recurring tactic in the show. 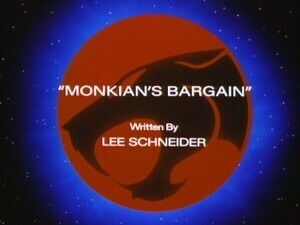 But this minor complaint does not take away from the brilliant and entertaining episode that is “Monkian’s Bargain”. The map of Third Earth that Mumm-Ra shows Monkian is actually based on the map that was drawn by Head Writer Leonard Starr and which was published in a few UK ThunderCats Annuals. 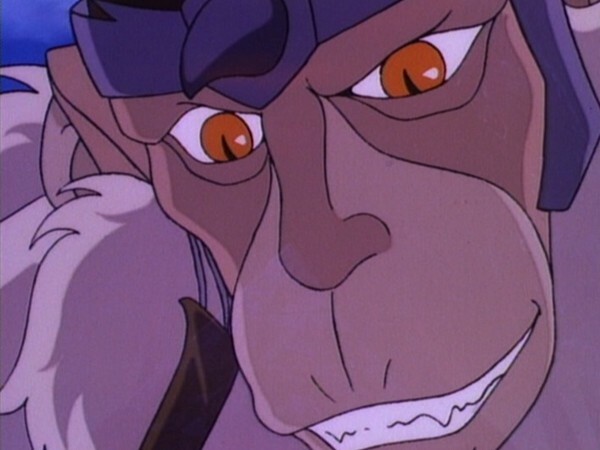 Apart from Monkian, no other Mutants appear in this episode. 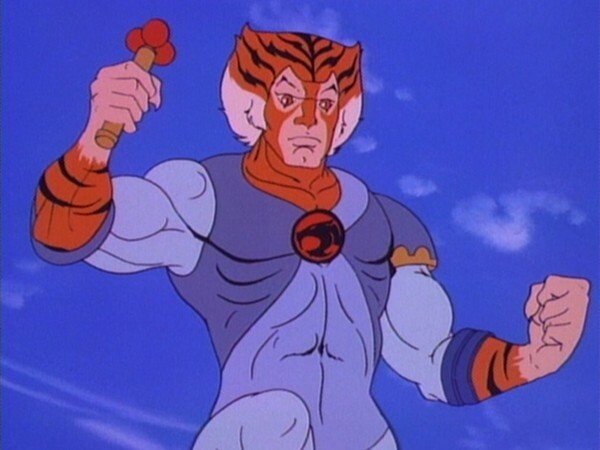 When Monkian uses the Spheres of Power against the ThunderCats, each of the spheres transform into the weapon that is being used by that ThunderCat (Nunchucks against Panthro, Baton against Cheetara and Lasso against WilyKit and WilyKat). After Monkian traps Tygra in one of his spheres, he gloatingly says: “Cats don’t always land on their feet!”, an obvious nod to the popular belief that a falling cat will always right itself and land on its feet. 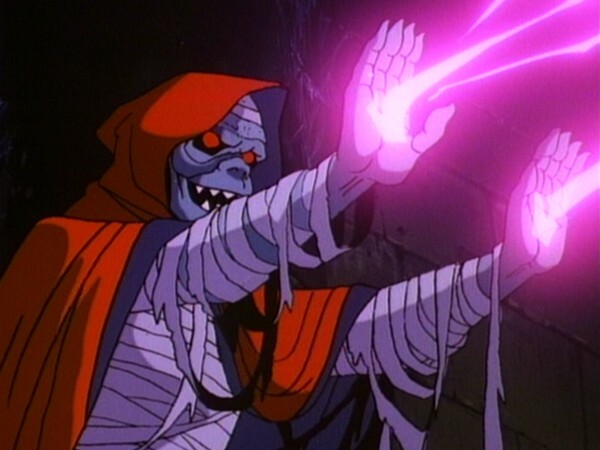 If WilyKit and WIlyKat hadn’t interrupted Mumm-Ra during his second transformation, then this would have been a rare instance of the evil mummy changing into his ever-living form twice in one episode! 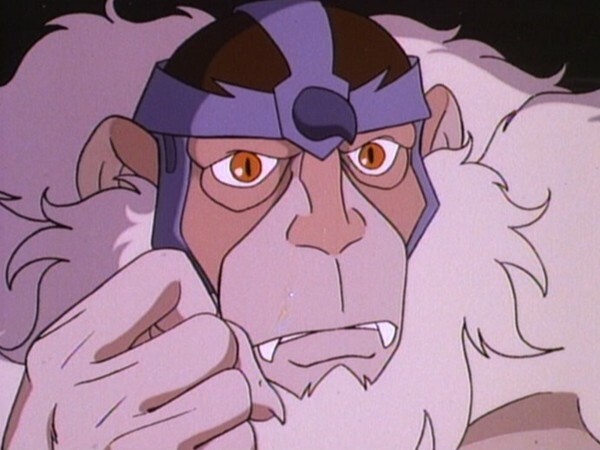 Episode Writer Lee Schneider said: “I picked Monkian for this story because he seemed the most gullible and most likely to go for a bargain offered by the devilish Mumm-Ra.” – source: Hear the Roar .